With basic income, an economic basic security for all, we create a more equitable and secure society. Today's contribution system with its expensive bureaucracy is transformed into an unconditional basic income where no one falls through the cracks. Basic income provides the foundation for a sustainable future for humans and our environment, climate and democracy. 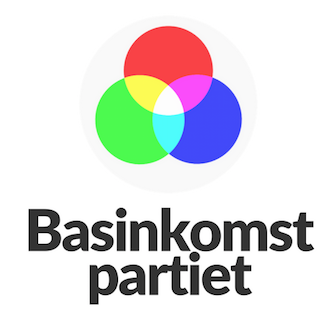 If you want to support Basinkomstpartiet (the Basic Income Party) and the introduction of today's most important reform for a safer future, join our Facebook group "Basinkomstpartiet – Medlemmar Och Medhjälpare" and / or donate money, which means a lot. See how under the heading donate. Thank you for your dedication and contribution!